Like Kristiina Uusitalo and Mia Damberg, whom we introduced in the previous SHIFT mentoring programme post, artist Tiina Kivinen and photographer Julia Weckman are not novices to the field either. Both of them are internationally known and they took part in the first mentoring programme in autumn 2015. Here’s what they have to say. “Value and appreciation questions are always at issue when talking about printmaking and using paper. The situation here in Finland is relatively good and we have great artists. Unfortunately the works are often ignored when the term ‘graphics’ is used to describe them. One should look at the works as contemporary art just like other artworks on the field” stresses Kivinen. Winning The Queen Sonja Nordic Art Award in 2012 was a great example of media’s total lack of knowledge. 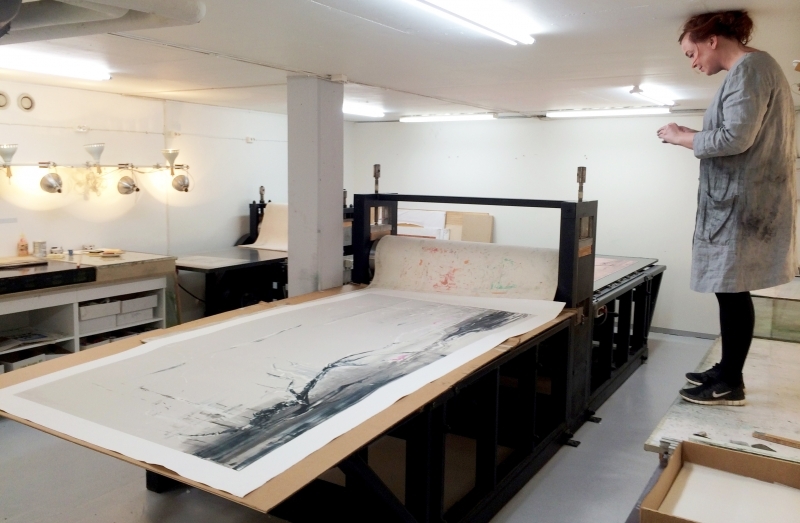 “The prize was given out for the first time and even the art field didn’t know about it, albeit it’s the biggest award in the field of printmaking (NOK 400 000, approx. 41 700 €). Reporting and communication about the event was difficult, but fortunately I managed to save the situation by giving few TV interviews. Now the international prize will be awarded again next autumn, but I guess it takes time to gain an acknowledgment.” Kivinen moots. It’s a rare situation if someone can support him/herself only with art in Finland, and sometimes one has to accept teaching or commercial photography jobs. “If I could choose, I wouldn’t do commercial photography shoots at all, they take up a lot of energy. On the other hand, through those kind of projects I have been able to strengthen my technical skills and social interaction, and you have to admit it, it’s kind of refreshing. I can see making art from an outsider perspective which helps me to keep my feet on the ground and be aware of the real life. But in turn, the real life takes time from concentrating on art projects. Commercial work enables me to produce photographs and finance the upcoming exhibitions. That’s the only way, grants and art sales are just bonuses.” Weckman describes. “I wish there would be a possibility for once in awhile to take few months off just for making art, and grants make that possible. And that you wouldn’t have to be so efficient all the time!” dreams Weckman. 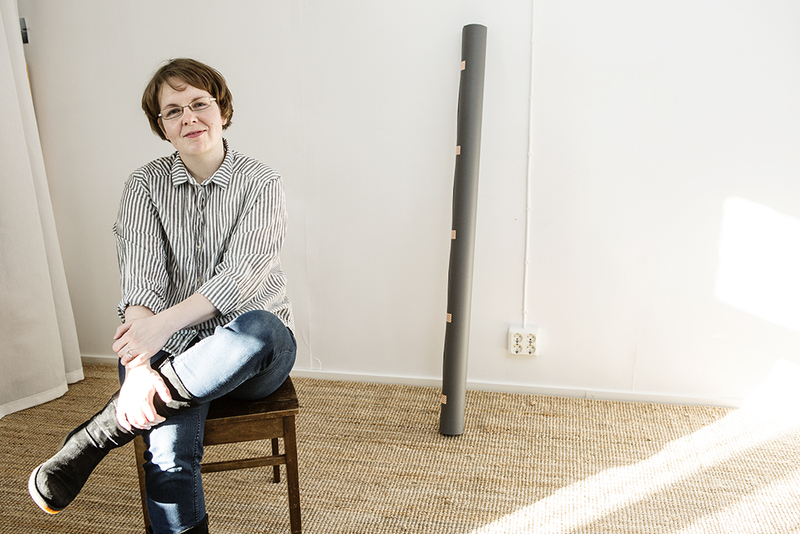 Julia Weckman is also part of artist collective Kunst (Taiteilijakollektiivi Kunst), which functions as a mentoring group where one has space, time and place to ponder one’s practice, rejoice in own and other’s success and plan common projects. “It’s the best! Everybody should have a mentoring group where the rules are laid out clearly from the start: everybody will be supported and encouraged in his/hers work, knowledge about work possibilities will be distributed equally and everybody should have fun. That creates lots of new energy and great projects” Weckman sums up eagerly. Oh, how one wishes that would be the case in the artworld all the time. In April Weckman will be travelling to Berlin to take her chance in Grosses Treffen network event, good luck Julia! This is the third part of the series introducing our SHIFT mentoring programme participants in 2015.